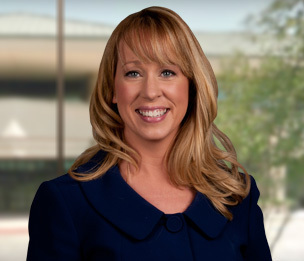 Jeana Long primarily represents banks and financial institutions. She represents lenders in lawsuits against borrowers and guarantors in courts throughout the state and in arbitration proceedings. She also represents financial institutions in defensive lawsuits. Ms. Long has extensive experience representing both secured and unsecured creditors in in bankruptcy cases, including contested matters and adversary proceedings. Recognizing the importance of client education, Ms. Long regularly hosts CLE and educational seminars for client and potential clients covering a wide range of topics, including general collection litigation, collection in probate, bankruptcy for lenders and foreclosure. Obtained summary judgment in Hidalgo County for a national bank against a borrower and eleven guarantors on eleven separate notes, totaling over eleven million dollars. Obtained several take-nothing summary judgments for financial institutions in lawsuits alleging breach of contract, misrepresentation, conversion, negligence, violations if the Texas Deceptive Trade Practices Act, fraud, and breach of fiduciary duty. Obtained entry of order on a motion for new trial after denial of motion for summary judgment denying lender’s cause of action for judicial foreclosure. Obtained verdict for state bank after bench trial on commercial note and secured a take-nothing judgment for the bank on counterclaim for breach of contract and fraud. Successfully obtained orders compelling arbitration of disputes subject to arbitration provisions. Successfully obtained orders dissolving temporary restraining orders and permitting lender foreclosure. Defended several financial institutions at injunction hearings and obtained injunctions preventing borrowers from enjoining foreclosure sales. Negotiated cash collateral orders, sales of property in bankruptcy cases, obtained relief from the automatic stay, and dismissal of bankruptcy cases. Obtained orders for judicial foreclosure allowing creditor to proceed with foreclosure sale of property. Represents financial institutions as defendants in lawsuits filed by taxing authorities. Represents financial institutions regarding subpoenas, receiverships, garnishments, and levies. Represent financial institutions in forbearance agreements, modification of loans, and representation after foreclosure sales in leasing, extension agreements, eviction actions, and sale of OREO properties. Obtained dismissal of lawsuit in the Southern District of Texas, McAllen Division, against client on federal and state wiretapping causes of action. Bankruptcy for Non-Bankruptcy Lawyers, Co-Author and Speaker, State Bar CLE "Soaking Up Some CLE"
"Time-Barred Debt Claims Dependent on Jurisdiction: Crawford’s Finding that Filing a Stale Proof of Claim Violates the FDCPA Faces Challenges"
"The Sixth Circuit Holds a Limited Liability Company is a Person under the FDCPA"
State Bar CLE Planning Committee for 2016: "Soaking Up Some CLE"